Students were emailed the sign up sheet to take the Accuplacer exam here on the GJHS campus on March 13th or 14th. 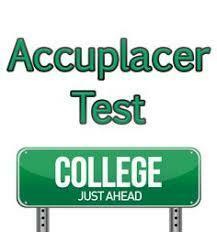 The Accuplacer exam is one of the tests we can use to qualify you for the concurrent credit program. It is free to take and will be taken during the regular school day. It is a computer based exam and does not have a time limit. To qualify to take this exam, you must have at least a 3.0 GPA and not be fully qualified for concurrent credit. Once students sign up, I will verify whether they qualify to take the exam of not and which sections they need to take to fully qualify for the concurrent credit program.